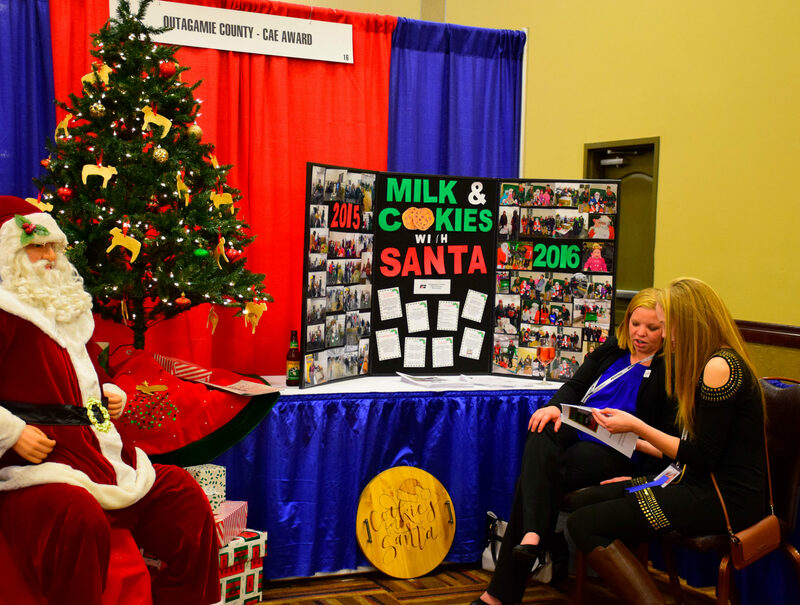 Outagamie County Farm Bureau’s CAE – Milk and Cookies with Santa. The Wisconsin Farm Bureau Federation is a grassroots organization whose effectiveness is the result of innovative, action-oriented programs developed by county Farm Bureaus. The County Activities of Excellence Program is designed to celebrate and recognize such programs. The purpose of the program is to recognize outstanding county Farm Bureau programs and share successful programs and activities. 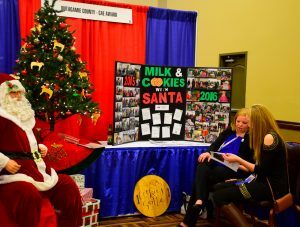 Eight outstanding county programs will be selected to display their winning program or activity during the 99th WFBF Annual Meeting Trade Show on December 1-2 at the Kalahari Resorts and Convention Center in Wisconsin Dells. One winner will be selected in each of the eight program categories. Those counties with a winning entry will receive $500 toward expenses to participate in the CAE program. Complimentary exhibit space will be provided for county Farm Bureau programs selected as Activities of Excellence. Enter your county’s outstanding program and you may be showing it to Farm Bureau members from across the state in December. County Farm Bureau applications must be received at the Wisconsin Farm Bureau office no later than August 31, 2018. The American Farm Bureau Federation will again recognize top county Farm Bureau programs and activities through the 2018 County Activities of Excellence Program during the 2019 AFBF Annual Convention. Up to 24 county Farm Bureaus and up to four multi-county collaborative activities from across the nation will be selected to present a display of their winning activity during the AFBF Annual Convention Tradeshow. Winning counties will receive $2,250 toward expenses incurred to participate in the CAE program at the annual convention, as well as, four, free registrations for the AFBF Annual Convention. County Farm Bureaus must enter the competition by completing an online application form by September 1, 2018 (see below). No paper or PDF applications will be accepted. County Farm Bureaus wanting to enter can access the award information, application and CAE archives here. For more information, contact Wisconsin County Activities of Excellence Coordinator Bob Leege at 608.828.5710 or bleege@wfbf.com.